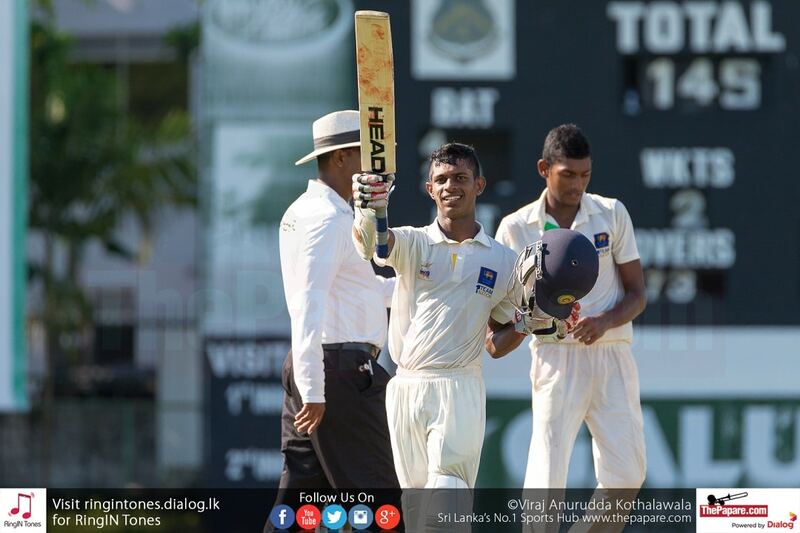 Lumbini College and Western Province Central opening batsman Thanuka Dabare slammed a breath-taking century against Uva Province in their SLC Super 19 Provincial Tournament 2016 match at Colts grounds on Monday. The fourth round of matches in this exciting tournament commenced on a hot and sunny morning in Colombo. In the other three matches, Southern Province, North Western Province and North Central Province hold the advantage after first day’s play. Left-handed Dabare struck 12 fours and 3 sixes during his aggressive 80-ball ton as Western Province Central lead the game 202 runs at stumps. After being sent into bat, Uva Province collapsed to only 116 runs as Lumbini College left-arm spinner Vimukthi Kulathunga and Isipathana College right-arm seamer Neranjan Wanniarachchi shared 7 wickets for the Westerners. Middle-order batsman Gayana Preethimal was the only batsman to resist the WP Central bowling stroking 43 off 65 deliveries. In reply, WP Central amassed 318 for 7 at close of play. Apart of Dabare’s knock, Isipathanian Pathum Nissanka (67) and Peterite Manelkar De Silva (72*) made sizeable contributions while three other batsmen chipped in with 20+ scores. Left-arm spinner and Captain Avindu Theekshana once again shined with the ball for Uva taking 4 scalps. Uva – 116 all out in 44.1 overs: Gayana Preethimal 43, Mapa Malindu 21, Neranjan Wanniarachchi 24, Vimukthi Kulathunga 4/41. WP Central – 318/7 in 53 overs: Thanuka Dabare 100, Pasindu Sooriyabandara 22, Sanjula Abeywickrama 29, Pathum Nissanka 67, Vishad Randika 23, Manelkar De Silva 72*, Avindu Theekshana 4/69. Stephan Jeni Fleming and Ayana Siriwardene made fighting half-centuries for Northern Province but North Western Province took major honours on day one at R. Premadasa Stadium. After opting to field first, North Westerners restricted the lads from North Province to only 223. Captain S Jeni Fleming made a patient 63 off 149 deliveries while Isipathana College all-rounder Ayana Siriwardena cracked 59 from 83 balls including 3 sixes and 3 fours. Four bowlers picked up 2 wickets apiece. North Western in their first innings accumulated 113 for 4 in 35 overs when the umpires raised stumps. Dilshan Kollure made a 74-ball 40 while Anandian Kamesh Nirmal scored 38. 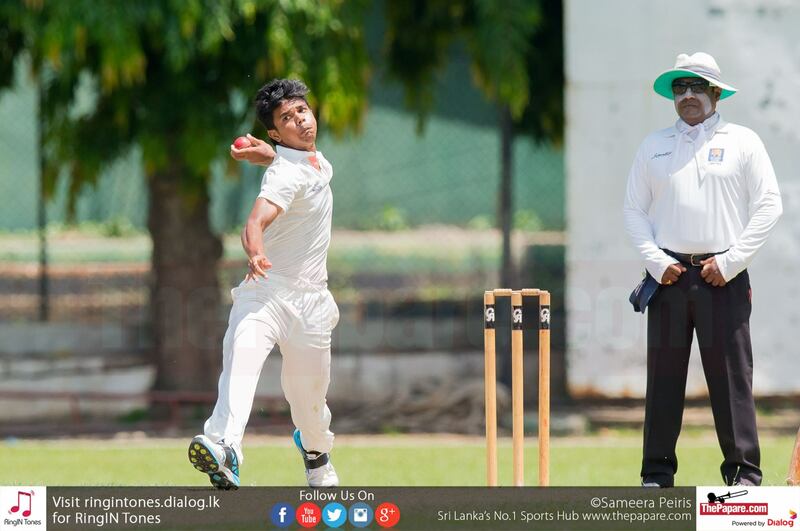 Left-arm spinner V Jathushan picked up 3 wickets. Northern – 223/9 in 65 overs: S Jeni Fleming 63, Shalitha Fernando 25, Ayana Siriwardena 59, S Rushanthan 30, K Kapilraj 20*, Romesh Ranasinghe 2/15, Nipun Dhananjaya 2/32, Damitha Silva 2/60, Piyumal Singhawansa 2/41. North Western – 133/4 in 35 overs: Dilshan Kollure 40, Kamesh Nirmal 38, Keshan Wanniarachchi 33, V Jathushan 3/22. In a low-scoring affair at MCA grounds, North Central Province trails by only 6 runs with 2 wickets remaining at Eastern Province. Eastern Province won the toss and elected to bat first. Opening batsman Anjana Liyanage top-scored for the Easterners with a run-a-ball 61 while rest of the batsmen failed as they were bowled out for only 158 inside 42 overs. 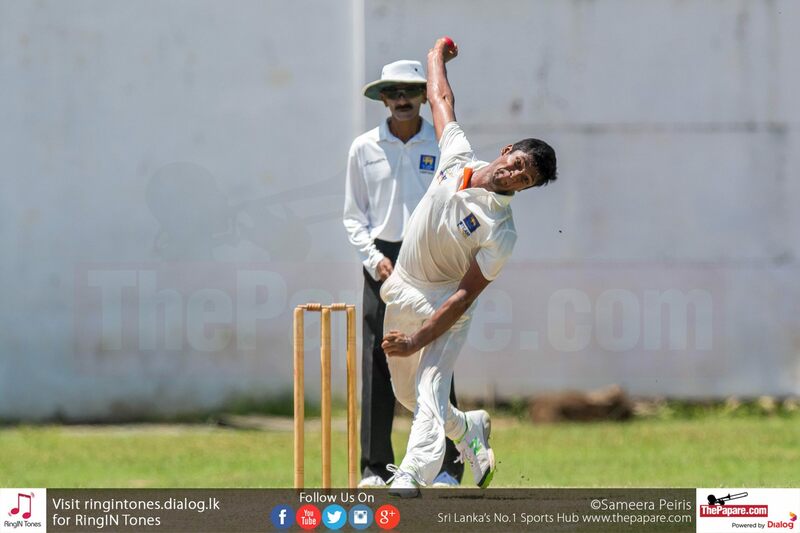 Thurstan College fast-bowler Nipun Lakshan picked up a five-for. North Central in reply struggled to construct hefty partnerships as they lost wickets at regular intervals. After being 123 for 8, Thilina Dhananjaya and RavinthaI llangasinghe have batted positively for the 9th wicket to help them reach 152 for 8 at close of play. Deshan Fernando and R Thenurathan took 3 wickets apiece. Eastern – 158 all out in 41.1 overs: Anjana Liyanage 61, R Thenurathan 22, Dinesh Madusanka 27, Nipun Lakshan 5/39, Thilina Dhananjaya 2/19, Asela Sigera 2/33. North Central – 152/8 in 56 overs: Nipun Lakshan 25, Asel Sigera 23, Sajith De Silva 20, Thilina Dhananjaya19, Dasun Senevirathne 14, RavinthaI llangasinghe 13*, Deshan Fernando 3/41, R Thenurathna 3/26. Captain Navindu Nirmal and Chathura Milan slammed yet another half-tons for Southern Province as they completely dominated proceedings over Central Province at FTZ grounds in Katunayake. After being asked to bat first, the Southerners amassed a massive 297 for 9 from their allotted 65 overs. 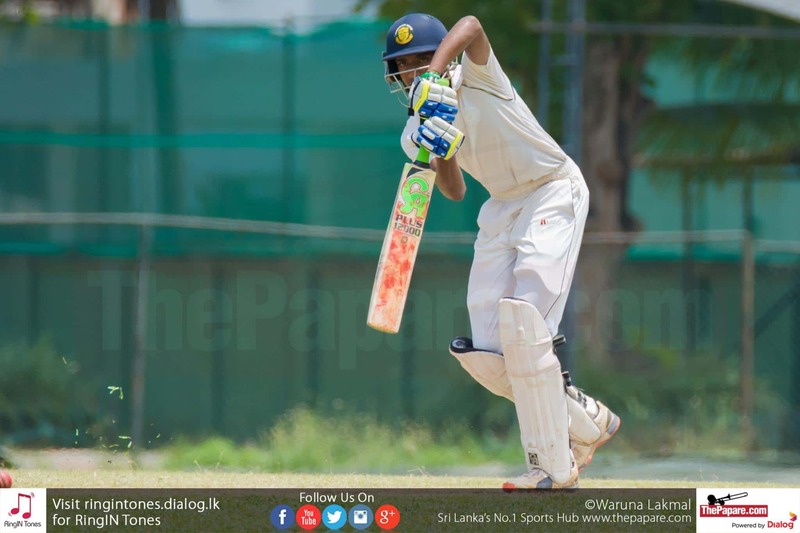 St. Aloysius’ College wicket-keeper batsman Nirmal top-scored with 84 from 105 deliveries while Sri Devananda College right-hander Milan made a quick-fire 47-ball 55 including 5 fours and a six. They were also involved in a stunning 101-run stand for the 6th wicket. Central Province were in all sorts of problem as they lost half of their side to only 84 runs at stumps. Wicket-keeper batsman Mohommad Alfar made a fighting 30 while fast-bowler Nipun Ranshika and left-arm spinner Hareen Buddhila took 2 wickets apiece. Southern – 297/9 in 65 overs: Navindu Nirmal 84, Chathura Milan 55, Ashen Bandara 49, Kaveesha Dilranga 26, Gihan Witharana 3/61, Virajitha Jayasinghe 2/40. Central – 84/5 in 35 overs: Mohommad Alfar 30, Nipun Ranshika 2/25, Hareen Buddhila 2/19. All four matches will be continued tomorrow (May 3rd) for second day’s play.